So, you are ready to enjoy your holidays, but hate leaving your PS4, Xbox One, and the Nintendo behind. 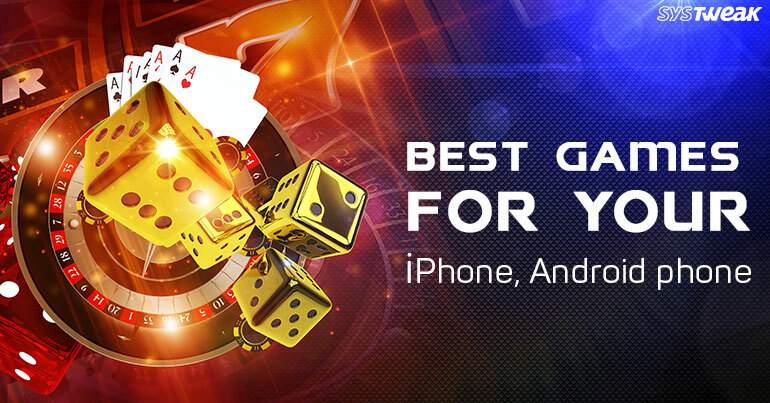 Worry not we have rounded up for you the most popular games that you can play on your Android and iPhone. They won’t let you miss your PlayStation. These games will add up to your holiday enjoyment you can play them anytime and anywhere. So get ready to double the fun with these amazing games. It is a live trivia show app available for iOS only now. The Android version for the same is supposed to be released by January next year. A modern-day action adventure game in which players have to find hidden objects in the series of animated interactive scenes. At present this game is available only for iOS devices. It is a clever and unique puzzle game that has unique mechanics blended well with isometric architecture. Player can rotate and flip around boards to defeat there enemy and continue their expedition on Euclidean Lands. A creative way to kill time with 5 chapters and 40 challenging levels. It is a revolutionary follow up to original Reigns, available for both iOS and Android. The game that bring back the swipe-based gameplay with more characters, new abilities, and more challenging task. Player has to reach specific goal before the new monarch reign to unlock new sets and change the game. This again is a sequel game and just as good as the first one. It is too good with amazing mechanics and environment. Monument Valley 2 is a popular game where player needs to guide mother and her child on their journey. Players will face different challenges and they need to solve them to proceed further. Monument Valley the predecessor was an award-winning game. From the creators of award winning Kingdom Rush here come Iron Marines. A real time, dynamic and strategic game that will take you to amazing planets. An immersive game with appealing art where you face the challenges to defeat brave soldiers, aliens and many more. Player must protect their base with defense towers and bullets and other arms ammunations. The creator of Sage Solitaire brings a new solitaire game that will break all the rules. The name is self-explanatory to know it will be fun to play an unrestrictive solitaire based on Spider Solitaire. Players will have more options to move cards making it more strategic than the original. The list doesn’t end here there are many games that you can try this holiday season. These are few that I like the most and enjoy playing they don’t let me get bored. These games not only will help you pass the time but will also make you think strategically. Games are fun but when they make you use your brain they help to boost productivity and think out of the box. So, this holiday try to play strategy games and puzzle and know where you stand. Ripple: Meet The Hottest New Cryptocurrency!